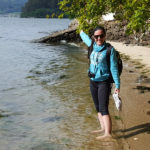 Is walking the Camino de Santiago on your bucket list of things to do? We have designed a free Camino beginners guide to help you prepare for this epic adventure. The Camino is unlike any other trip that you will embark upon. Walking the long distance across Northern Spain, through stunning villages, rustic surroundings and peaceful trails is a wonderful experience. People choose to walk or cycle the Camino routes for all kinds of reasons. Whether you are looking for a break from a busy life, a spiritual adventurer, interested in healthy walking holidays or just want to challenge yourself, the Camino will be a great place to start. There are a number of tips and tricks to make each part of this long distance journey comfortable and enjoyable. To give you a full overview of the things that make this journey special we have divided our ebook into five chapters. The first chapter takes you through the history of the Camino de Santiago pilgrimage, detailing the markings and why people have decided to walk over time. We also explain a little bit about the Pilgrim’s passport and certificate you can receive if you complete the Camino. The second chapters outlines the various routes that can be taken to reach your destination at Santiago de Compostela. It gives you a template for choosing a route most suitable for what you are looking to get from the tour. We also list the most popular routes which include the Camino Frances, the Camino Portugues and the Camino del Norte. Our Culture chapter will give you a list of useful Spanish and Galician to take with you as you pass through the peaceful towns. Knowing local phrases can be beneficial but also polite when some locals might not speak the english language. In this chapter we have also included a sample of the tasty foods on offer along the way and the most popular festivals that people wish to take part in on their journey. 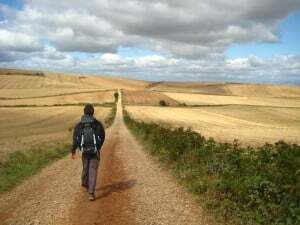 It is important that you become familiar with the landscape of the Camino routes so we have included the levels of difficulty for each route in Chapter four. This will give you a few insights into the fitness level required for the routes based on the rating system that we have attached to each route on our website. In the final chapter we will give you tips on how best to prepare for the walk in advance. We have a 6 month fitness guide outlining some useful exercises and a packing guide that will apply to most other walking tours that you may take in the future. This ebook is designed for anyone hoping to embark on the Camino journey. It can be saved a nice little souvenir to remember that you completed one of the most famous pilgrim walking routes in the world. 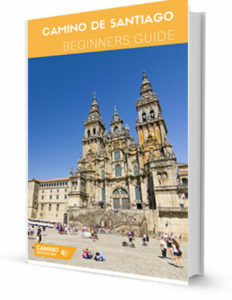 Download your free Camino Beginners Guide here. For more information about walking the Camino de Santiago or to book your next Camino trip please contact one of our Travel Specialists. My sister and I plan to do this walk next eyaer with our 73 year old father.